Home Food What Are the Benefits of Tuna to Your Diet? The benefits of tuna to your diet are huge. 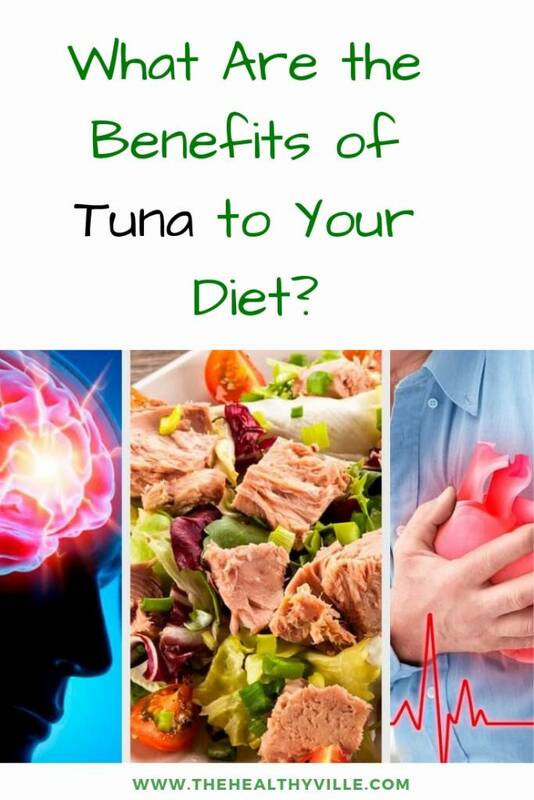 You need to know them so you can start including tuna to your daily meals and improve your health. In addition to being rich in omega 3 fatty acids, tuna has many nutrients that can help you take care of both your physical and mental health, since it even prevents depression. Of all the fish that we can consume, tuna is included in the list of the most recommended because it is nutritious and very economical. In this article we will explain the main benefits of tuna to your diet. You will discover that including a medium sized piece of tuna in your weekly diet is a great idea. The only thing we recommend is to avoid canned tuna, because it contains salt and preservatives in excess. Keep the blood vessels in proper condition. Reduce cholesterol in the arteries. Reduce the risk of suffering a heart attack. To obtain the maximum benefits it is necessary that, when cooking the tuna, you do it with the minimum possible fat. It has been proven that polyunsaturated fats from fish help reduce the risk of breast cancer. If there is a history of this disease in your family, we recommend adding at least one portion of fish in your weekly diet. The ideal would be to consume between two and three servings. Remember that it is also important to maintain constant communication with your doctor, particularly if your background is a direct family (parents, grandparents or siblings). Tuna has 12% fat in its components so it is perfect to complement an exercise routine that seeks to reduce accumulated fat. A can of average tuna of 250 grams has half of the vitamins needed for muscle care recommended, so it is usually a fundamental part of the diet of athletes. To obtain the contributions of tuna in your diet in this sense it is important that you accompany it with grains and vegetables to complement the vitamins and minerals. In addition, by accompanying it with quality carbohydrates (potatoes, rice or wholemeal pasta), you get energy to perform your sports routine. Another benefit of tuna to your diet is that it helps with semantic and long-term memory. It is highly recommended that you consume it frequently if your work forces you to read and memorize. It has also been determined that frequent consumption of the omega 3 found in tuna and other fish helps to prevent Alzheimer’s if consumed since youth. Of course, it is important to remember that this disease cannot be stopped. Therefore, once you begin to suffer from Alzheimer’s, it is possible to slow down the deterioration process, but not cure it. Other contributions of tuna to your diet are manganese, zinc, selenium and vitamin C. All these elements are antioxidants that improve the ability of your immune system to fight diseases. Remember that antioxidants help reduce the amount of free radicals. These affect your body at the cellular level and can leave you prone to develop diseases. Do you usually experience mood swings and have you been forced to take medication for it? Although medications have a reason for being and you should not leave them, consuming tuna will help stabilize your mood. According to one study, women can stabilize the hormonal changes that cause depression with the help of omega 3. Further info: 3 Anxiety And Depression Treatment Options For An Instant Nerve Relief! Among the contributions of tuna to your diet are vitamin B and iron. Both help strengthen your cardiovascular system, improve the quality of blood cells and reduce circulation problems. Are you having varicose problems or bruises without justification? In that case, you should check with your doctor what is happening with your circulation and add a portion of tuna, and other fish, in your diet. Contributes to the prevention of diseases. It promotes growth in children. Have you heard about macular degeneration? If so, because someone in your family or you suffer from it, you should know that diet can do much to prevent its advancement and that of blindness. The omega 3 are excellent allies in this regard. Of course you can choose to consume a supplement but remember that the omega 3 direct food is much better, since it has not gone through industrial processes and is fresh. Opt for fresh tuna whenever you can. Accompany it with a good portion of vegetables, grains and carbohydrates of good quality. Avoid adding fat and seasonings with lots of salt. Its characteristic flavor combines perfectly with herbs such as basil or mint. Include it in your diet, at least, once a week. Don’t forget to SHARE the benefits of tuna with your friends and family on your social networks!